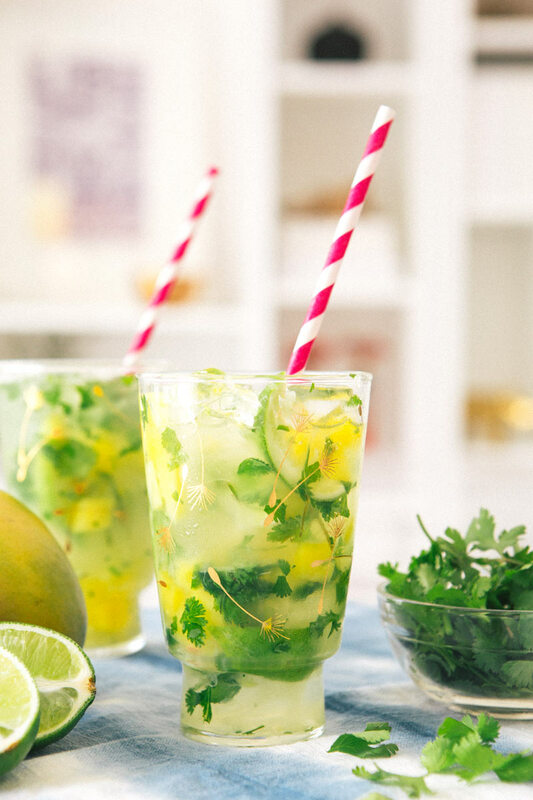 In shaker muddle lime wedges, mango, cilantro and simple syrup. Add rum and ice to shaker and shake for 5-10 seconds or until the shaker is cold. Pour contents of shaker into glass. Fill glass with more ice and top with soda water. um yum! this looks fab! 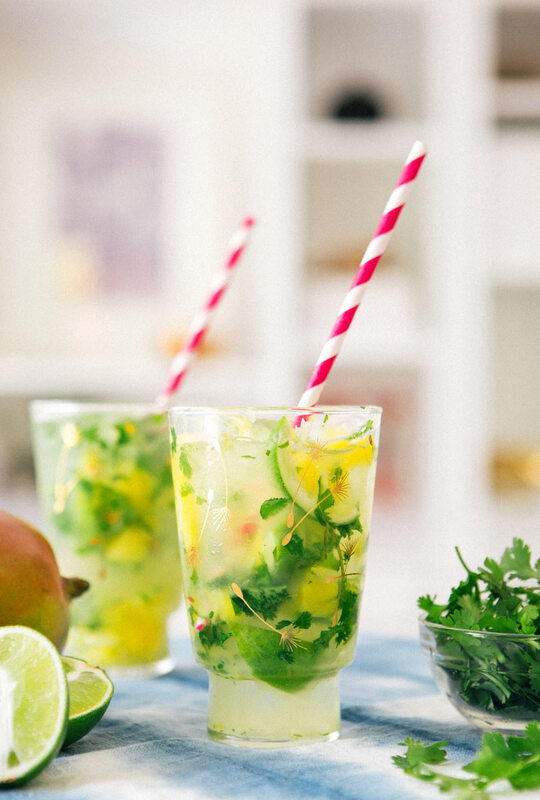 Love this – looks super refreshing! This looks amazing! 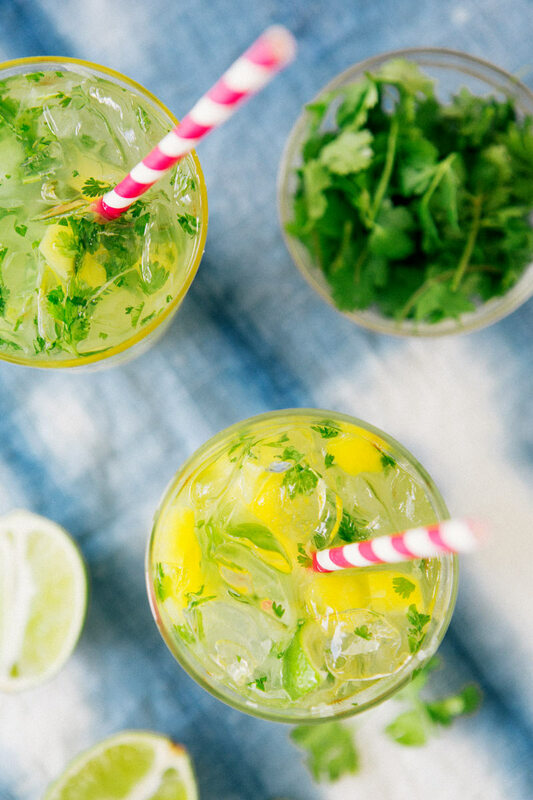 Definitely going to try, perfect use for the extra cilantro growing in my garden! Wow! A must try for our next bbq!!! These look amazing! yum! i am on such a mango kick right now. Oh, yum! 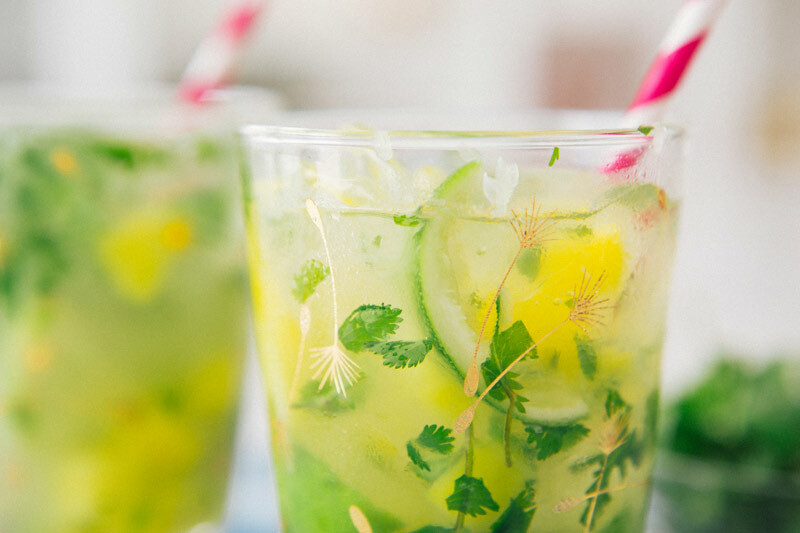 It is 97 degrees out where I am today and a mojito like this would be perfect. Pinning! This looks super refreshing. And your photos are stunning! I like, i save this recipepe, perfect for summer!! !